Jon earned his undergraduate degree in political science with a minor in business from Brigham Young University 2007. He received his J.D. from Case Western Reserve University School of Law in 2013. During law school, Jon authored articles for the University’s legal publication, The Docket. Jon also participated in moot court and mock trial, and competed in the Dean Dunmore Moot Court. 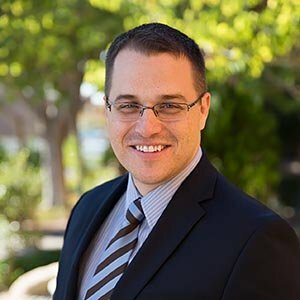 Prior to joining the Firm, Jon worked as a Senior Fiscal Analyst for the State of Arizona. In his role with the Arizona Joint Legal Budget Committee, he was responsible for non-partisan budget analysis, oversight, and recommendations for the Arizona State Legislature. Jon is a member of the Arizona State Bar, Family Law section. When he’s not working Jon enjoys both playing and watching sports, as well as writing and spending time with his wife, Ralae, and their five children.